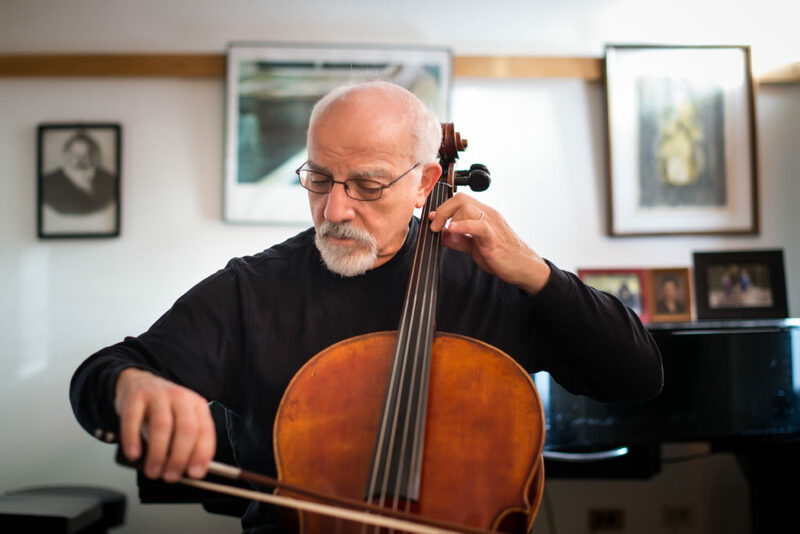 Cellist Uri Vardi has performed as a recitalist, soloist, and chamber player across the United States, Europe, Far East, South America, and his native Israel. Born in Szeged, Hungary, Vardi grew up on Kibbutz Kfar Hahoresh, Israel. He studied at the Rubin Academy in Tel Aviv, was an Artist Diploma student at Indiana University, and earned his Master’s degree from Yale University. His Cello teachers have included Janos Starker, Aldo Parisot, Eva Janzer, and Uzi Wiesel. Other influential musicians in his life have been Gyorgy Sebok, Rami Shevelov, Rachel Adonaylo and Lorand Fenyves. Vardi served as Assistant Principal cellist of the Israel Chamber Orchestra, Principal cellist of the Israel Sinfonietta, and was a founding member of the Sol-La-Re String Quartet. In 1990, following an extensive teaching and performing career, Vardi was appointed cello professor at the University of Wisconsin – Madison. Vardi is the founder and artistic director of the National Summer Cello Institute which started in Madison, Wisconsin, and continued in Caroga Lake, NY. He is regularly invited to perform and present workshops, seminars, and master classes at major music schools, summer music festivals, and professional orchestras. Trained as a Feldenkrais practitioner, Vardi focuses on the correlation between musical expression, sound, body awareness, and movement in his teaching and performance. Throughout his career, Uri Vardi has continuously initiated new projects and collaborations, bringing to life rarely-performed music (e.g. CD of Jewish music from the St. Petersburg School with pianist Uriel Tsachor), and bridging cultural and musical divides (e.g. ‘Fusions’ – A chamber music project of Jewish music and Arab art music, that toured the US and Israel on multiple occasions and culminated in the commission of ‘Forty Steps’ by Joel Hoffman, a Double Concerto for Cello, Oud, and Symphony orchestra, premiered with the Madison Symphony Orchestra). Vardi’s Students have been successful as soloists, chamber players, faculty members of major music schools (such as Oberlin College, and Peabody), and members of major orchestras such as The New York Metropolitan Opera, the Israel Philharmonic Orchestra the Boston Symphony Orchestra, the Simon Bolivar Orchestra in Caracas, Venezuela and the Seattle Symphony Orchestra.